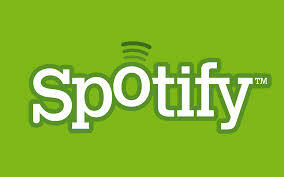 TAKING ENQUIRIES for Public, Private, Corporate Events, Weddings & Birthdays, etc. in 2019 and beyond ! As seen on BBC TV's Don't Tell The Bride! 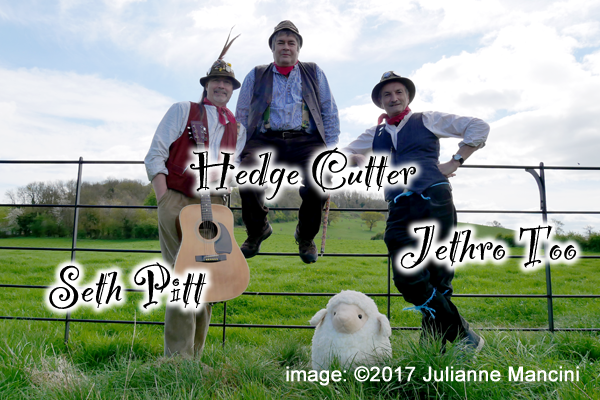 The Wurzels Flavoured, Cider - Fuelled, Scrumpy & Western Tribute Band! A deal signed with independent record label Loose Records (who had the real Wurzels on their books in the 1990s) resulted in The Mangledwurzels release of two albums - containing their brand of Wurzels-Flavoured, Cider-Fuelled, Scrumpy & Western songs, reeking with rustic charm. 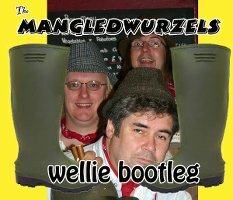 Please note - this is not the official website for The Wurzels. If you want to book The Wurzels, contact the band's manager Sil Wilcox through their official Wurzels website.